Being able to juggle all aspects of life isn’t easy. Establishing the right balance between work and our personal lives poses a challenge we all face on daily basis. In recent years, the idea of the right “work-life balance” has been widely discussed and attracted interest from researchers, executives and almost everyone with a career from around the world. Work-life balance, although defined differently by many researchers, revolves around a person’s ability to effectively manage and balance their work commitments with their personal commitments. But here is the tricky part – what the right work-life balance looks like, differs from person to person, so there is no gold standard way or a template for establishing your right work-life balance. You have to figure it out for yourself. Various research has led researchers to believe that a work-life imbalance can have a negative impact on peoples’ social relationships, health, family relationships and their well-being in general. Researchers found that people on the work side of the spectrum very often neglect their health, families, and friends. Likewise, for people who are more engaged in their life, their behavior can lead to sacrificing their career. As you can see, establishing the right work-life balance can be challenging but it remains a vital aspect of our lives. 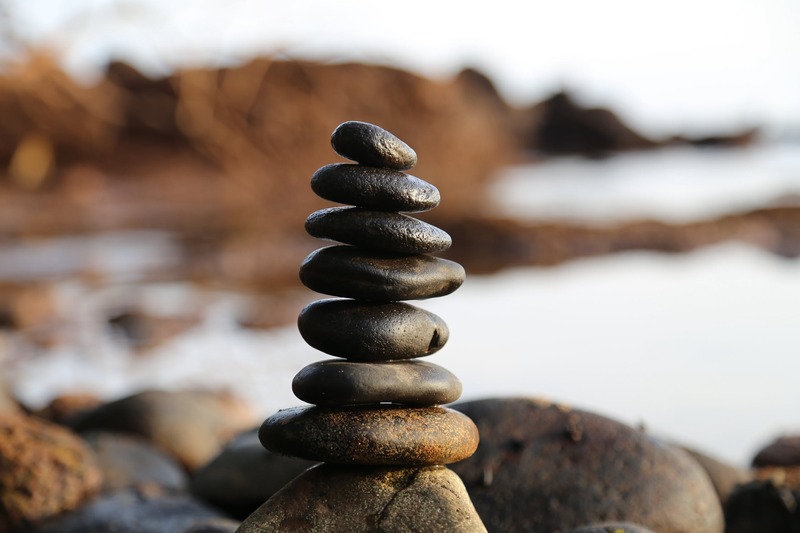 In this article, I listed and discussed certain steps you can take in order to help you establish your perfect balance. Work-life balance through time management. As I discussed in my previous post, an efficient time management can be a very beneficial tool for anyone with a busy schedule, life commitments and a career – so in reality, EVERYONE! It can also help determine work-life imbalances and help improve on them. If you have read my last post, you’ll know that I swear by the technique of prioritizing and managing my time. Once a week on a Sunday afternoon I devote some time to making a list of my work projects, deadlines, personal errands, and chores. Looking ahead of the week, I determine what tasks hold the highest value and urgency, which helps me figure out what needs to happen when throughout my week. Once I get an idea of what my week should consist of, I use a calendar to determine timings for each of the tasks. I estimate the time I’ll need to complete each job and then I allocate it a spot on my calendar. This way I can see and quantify how much time I spend working on my career and how much time I have for myself, family and friends. Allocating work and life blocks on my calendar also helps me be more efficient in my career and allow time away from my professional commitments for winding down and spending time with people I care about. Employing these time management techniques helps minimize work-related stress, burnout and helps you stay focused on your projects and never miss a deadline. On the life side of the argument, if your week is planned out and organized, it will allow you more time to yourself and family, so you don’t feel like all you do is work. Overall, time management will help you develop and establish your work-life balance at the same time making you more efficient in what you do. Devoting time to yourself is another huge aspect that impacts your work-life balance. After all, if you don’t take care of yourself first, how can you take care of your career and your relationships. Having some downtime to unwind, exercise and unplug is extremely important. It allows you to clear your mind and relax. Spending your time relaxing or indulging in a hobby can help you take your mind off work, life issues and anything else that might be causing you to be stressed. Depending on your definition of ‘you time’, and the activities that help you unwind, working on hobbies and taking care of yourself can have a tremendous impact on your career and well-being. One of the ways you can spend your you time is through exercising. Whether you enjoy it or not, you cannot argue the fact that exercise has a remarkable impact on your well-being. Starting with stress relief through better physical health and increased confidence, exercising can change your life. If you’re a type of person that loves going to the gym and enjoy what you do there, that’s great, you should consider yourself lucky. Many people out there, don’t enjoy going and in many cases feel intimidated to even step a foot into the gym door. IF you’re this kind of a person, believe me, there is something out there for you, and I would strongly urge you to find an exercise technique that you like. IT will change your life. Meditation is another way of spending your time and relaxing and it can be done anywhere. If you’re a busy person, you’ll even be happy to hear that it doesn’t have to take long to feel its effects. A half hour meditation session is great and can help you relax, clear your mind and get some peace. Where do you start? If you haven’t done it before, there are plenty of free guided meditation sessions on internet and on podcasts that you can use. Leaving your phone, laptop and any other device that connects you to work behind for at least a few hours can also have a great life benefit. In today’s day and age, I know it’s difficult to sometimes disconnect but, we all need it from time to time. Nowadays that we have access to our emails, phone calls, and project within the reach of our palms, it constantly connects us and draws us back to work commitments. Have some time away from the phone, – easier said than done but when done, it allows you some time to reflect and relax. All of the sudden, you start seeing things you haven’t seen before when looking at the screen. You start noticing your surroundings and get more involved with your family and social life. Life isn’t all about work, yes work makes up a huge part of our lives but we all need time away. Just because you have a job and a career it shouldn’t mean your friends and family should suffer. As much as you need to take care of your career you also have to take care of the people you love. The people you call family and friends need you as much as you need them. Spending time with your loved ones can help you reduce work-related stress, and get your mind off career commitments. Remember, your family and friends also act as your support system when times get tough and the road ahead is rocky. You don’t want to focus all your time and energy on work and sacrifice your relationships. In a difficult situation, when you need their help the most, the people you decide to cut out of your life might not be there to help you. In your life, you have to maintain relationships. It will keep you sane and down to earth. So, devote some time a week to speak to your family, call or visit your mum and dad. Meet up and go out to dinner with your friends, stay involved in each other’s lives. These are only a few things you can do to maintain your relationships with your family and friends. When you start your week do you start your week with the easiest tasks first, tick them off the list and then work on your difficult and time-consuming projects? If you start with the easiest and quickest chores first, consider changing your order. Here is why. Have you ever finished all your small chores and then started your long project which actually ended up taking more time than you expected? You almost missed the deadline? Maybe that lead to you freaking out and being stressed about not delivering on your promise or commitment. Whenever you plan your week and manage your projects, you should aim to start with the biggest and most demanding chores first. That way if they ever need more thought or time, you can allow for it later on in the week. Additionally, let us say your big project did not need more time and you completed it with time to spare, your week only gets easier. Your biggest chore is now out the way and you don’t have to scramble to get it done last minute. All you have that left now, is the small and less important chores. Now your week all of the sudden is less stressful and you find more time you didn’t know you actually had. Work-life balance is a very important part of our lives. Life isn’t all work, but at the same time life isn’t no work. You have to find a right balance. The techniques provided in this article can help you find this balance. They work for me, so I wanted to share them with people who might be looking to find their balance. I am hoping anyone reading this article will find it interesting and helpful. The right work-life balance can help you reduce stress, enjoy more time with friends and family and devote more time to doing the things you love.